Sleek, stylish and comfortable, the Formula Bar Chair from Zuo Modern makes a distinct statement day after day. This superb bar chair is available in multiple stunning colors and includes a quilted leatherette back with high edges for outstanding comfort. In addition, the chair is easy to adjust and boasts an outstanding chrome base that delivers long-lasting support. Choose a top-of-the-line bar chair for extra seating in any modern or retro setting with the Formula Bar Chair. Available in numerous glamorous colors. Chrome base offers strength and durability. Includes a quilted leatherette back with high edges for outstanding comfort. 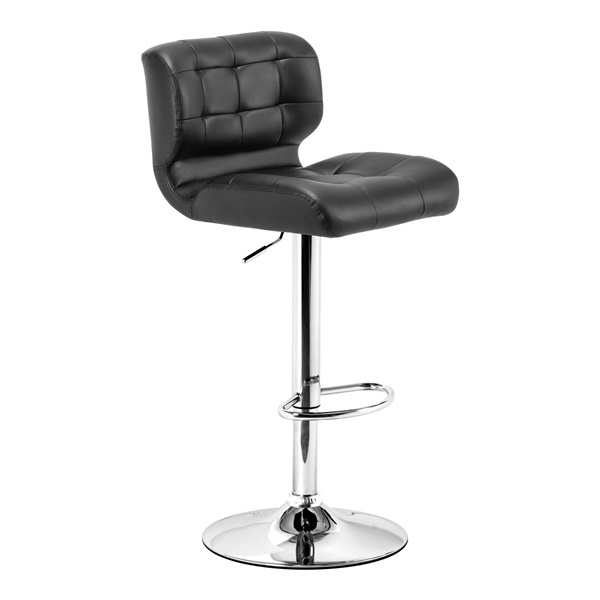 Sleek, modern design makes the bar stool a great choice in any contemporary dining room or kitchen. Bar Stool is easy to adjust, ensuring both kids and adults can enjoy this seat at any time. What's the min/max seat height on the Formula Bar Stool please? The seat height adjusts from 26" - 34.3".